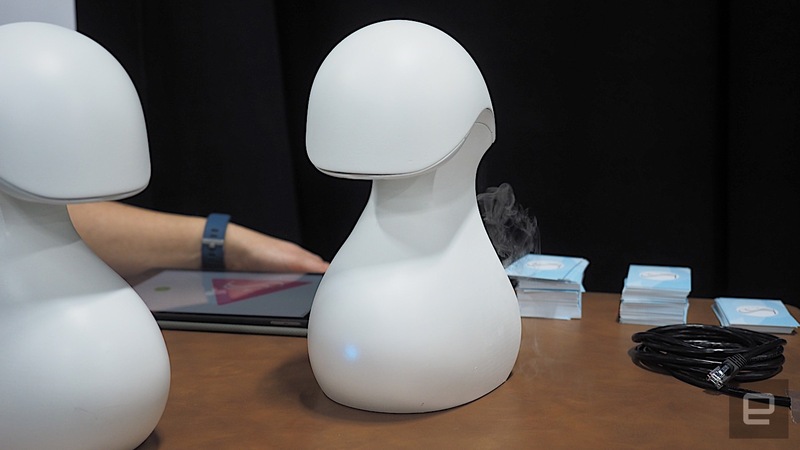 Shove in a pod of baby lotion, and the device will warm it and dispense squirts onto your hand. Massage is good for adults and great for babies, who use the stimulation to bond with their parents, calm down and work out their gas. 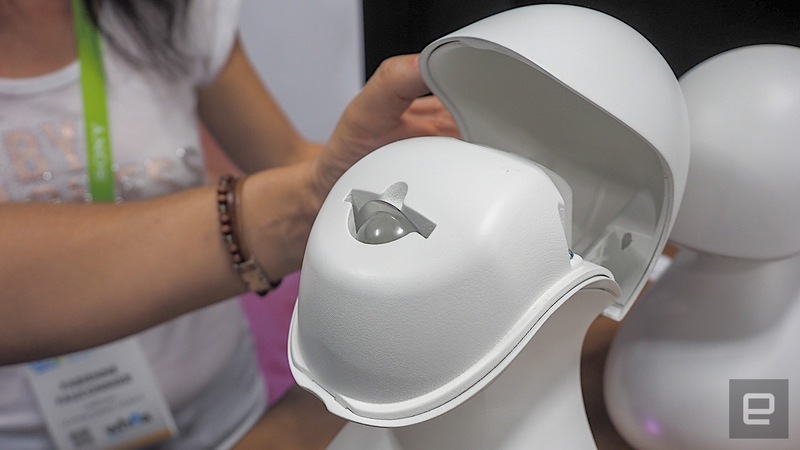 It's why French startup Caressa is building My Lussya One, a massage oil heater and automatic dispenser that's designed to ensure that rubbing sessions are always a pleasure. The device has been created by Frenchman Sébastien Fauconnier, who was inspired to build it with his wife, a pediatric nurse. He wanted to craft a gadget that not only made massage time easier, but encouraged it simply because of all the positive benefits baby massage offers. Looking like a Henry Moore sculpture, users begin by placing their hands on the head-esque top dome, which is warm. Lifting up the head exposes two slots for massage lotion and aromatherapy oil capsules that look like slightly cuter Keurig pods. Once your hands are warm, you place them beneath the head, where up to three squirts of massage lotion are fired out, much like an automatic soap dispenser. All the while, the aromatherapy oil is warmed and diffused to give the local air a pleasingly calm scent. Connect the device to your phone and it'll show you video tutorials on the best way to massage your kid, depending on their age. While you conduct the massage, the device can play soothing music through its built-in speaker, and offer up a gentle light show through its belly. Finally, Lussya can pull duty as a nightlight, and you can even record yourself (or a relative) reading a story to be played through the speaker. That's assuming you don't run down the battery, which allows the device to operate for a short amount of time when it's not plugged into a wall outlet. The startup is accepting pre-orders right now, and the first production run of the units are expected to arrive for French customers between April and May. Should you be located in the republic, you can put your name down for one if you have €250 ($300) on hand, with US pricing and availability still up in the air. In addition, there's no word on how much the capsules are likely to cost you, but it's likely to be a couple of bucks apiece. Assuming, of course, that you need your very own automatic lotion warmer and dispenser.